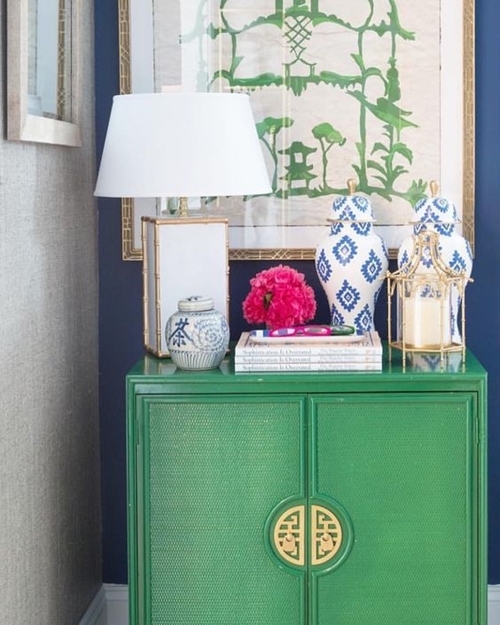 Chinoiserie, a strange word some might say, others may conjure up a mix of patterns depicting birds and flowers and colours of emerald green, blue and emperor red, a somewhat confusing space of oriental origins. 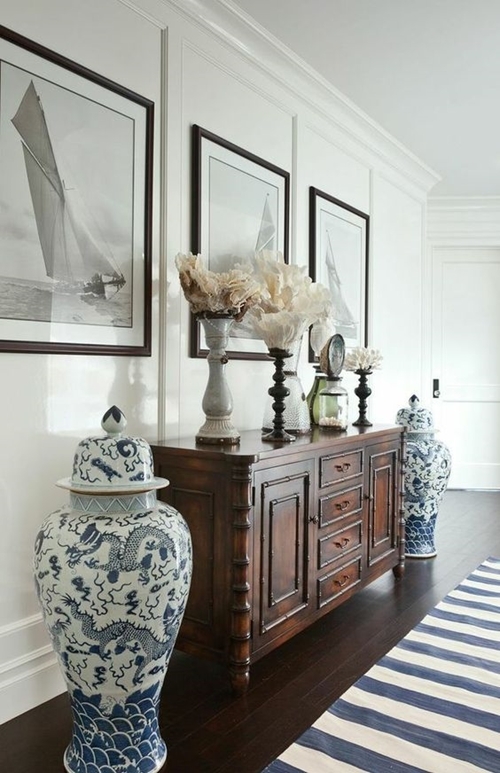 This may depict chinoserie of the 18th Century, however today's designers have a less busy approach to making it work for this century and today's homes. 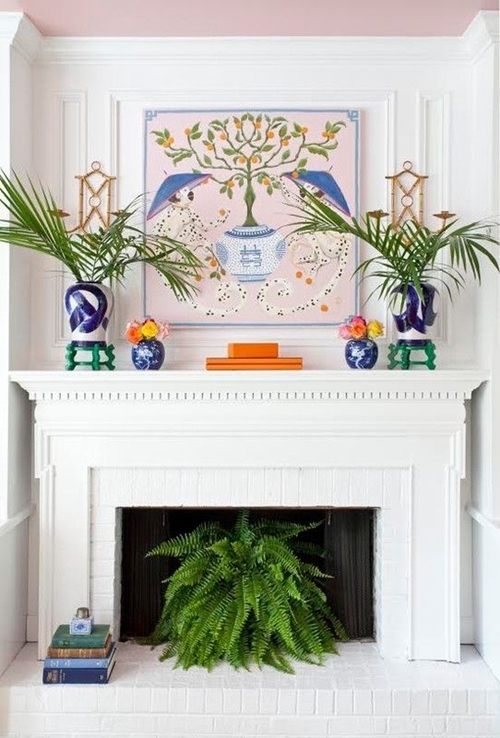 Born in the 18th Century of European design, stemming from the ceramics and textiles of China, this eclectic style became a global phenomenon by the late 18th century. 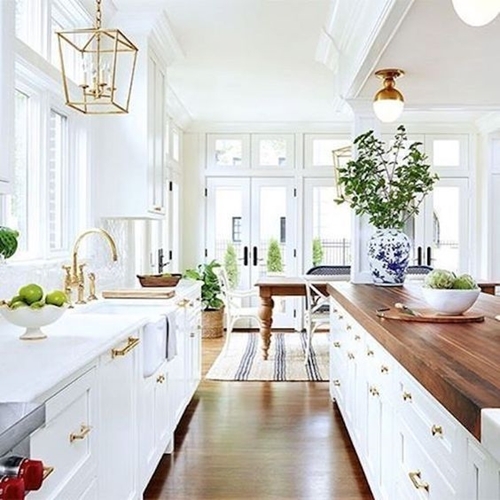 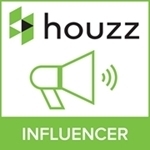 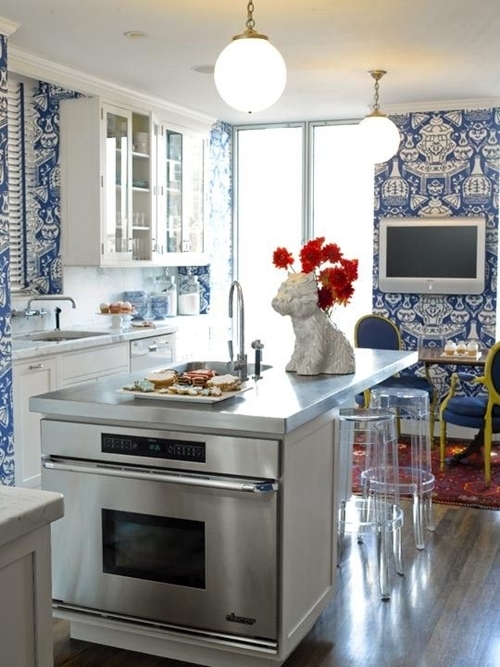 Drawing inspiration from this style, however using it in a more subtle way can look fabulous in today's homes. 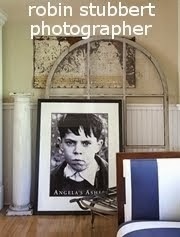 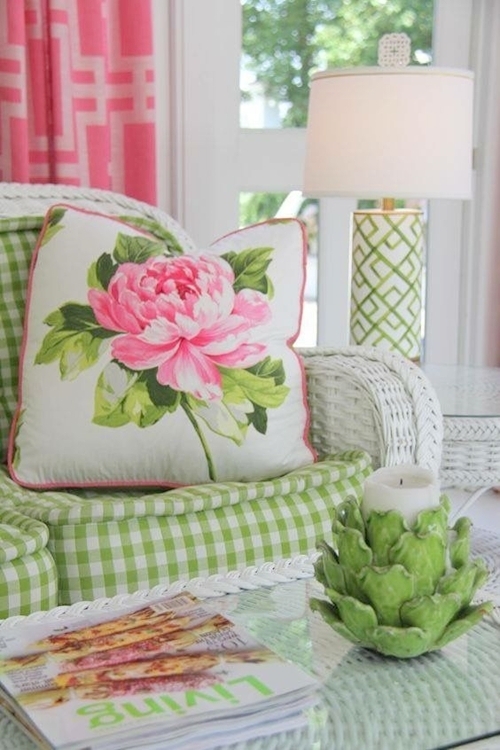 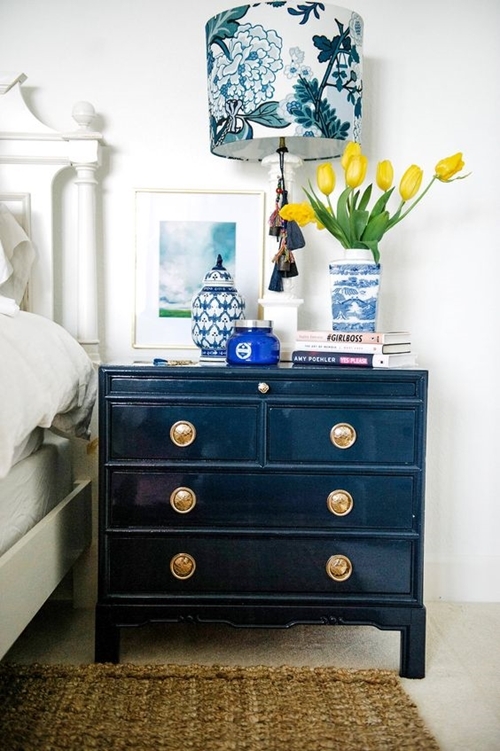 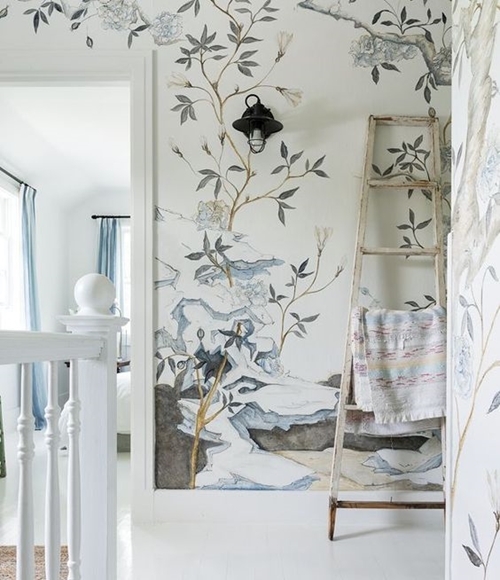 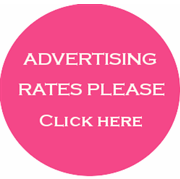 I've been looking around at ideas that stem from chinoiserie, yet have a more youthful feel. 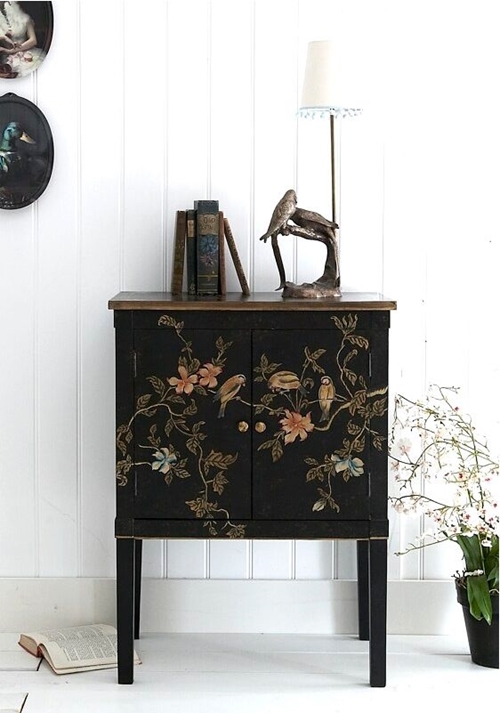 It may be the simplicity of the cabinet above, painted in chinoiserie style needing little to show it off. 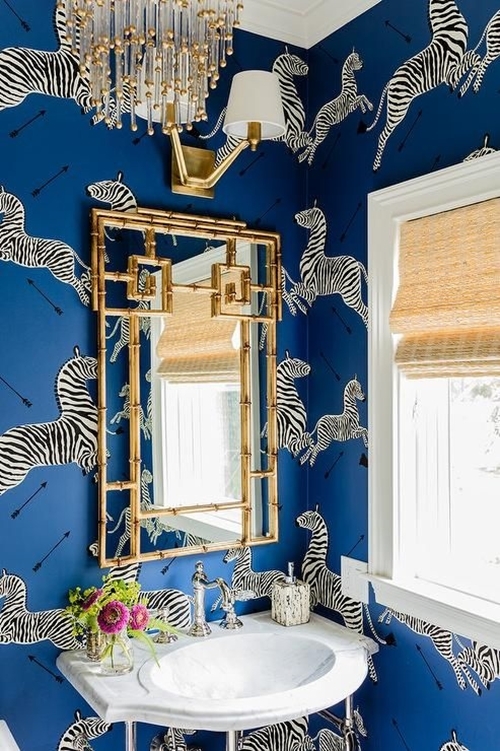 Or the vibrant powder room below which features a striking wallpaper of zebras teamed with a metal bamboo mirror of Chinese influence. 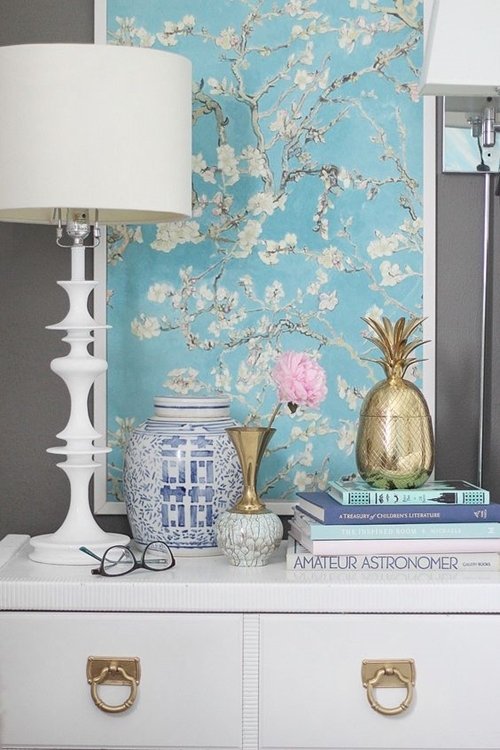 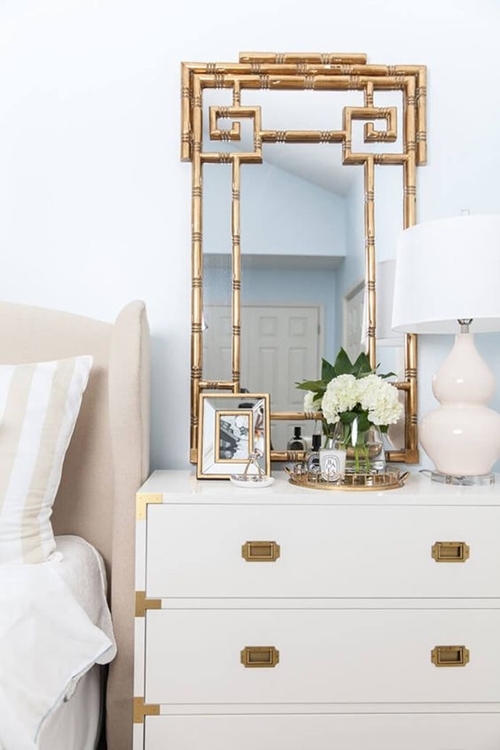 The look is definitely a modern take on chinoiserie and the designs reflect a modern take on Chinoiserie. 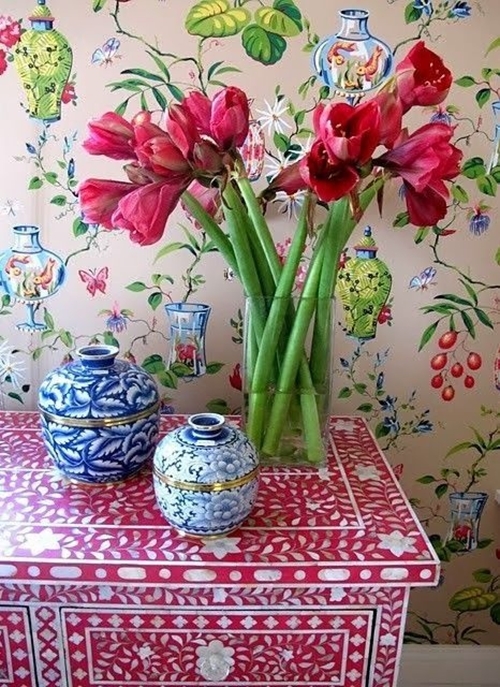 I hope you have enjoyed these images, they are what I personally perceive as a modern take on chinoiserie, whether by the use of ceramics, textiles, furniture or decorative wallpaper. 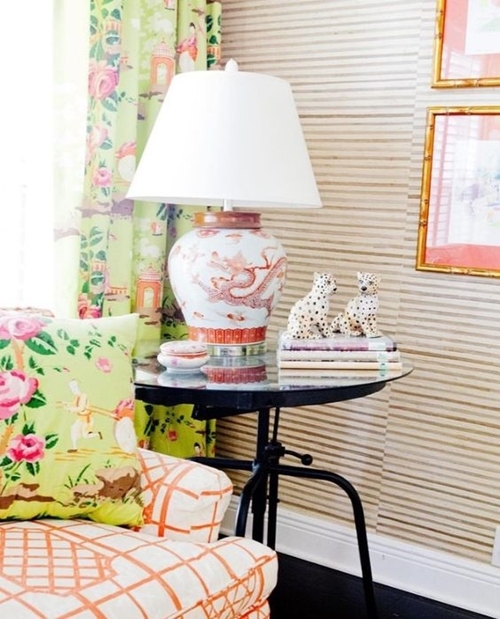 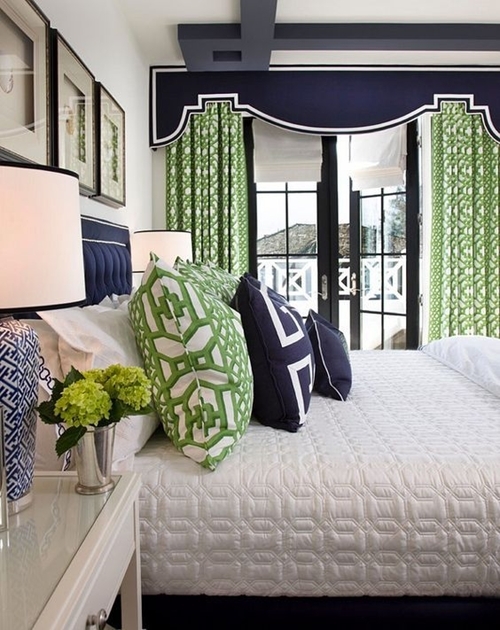 If you are drawn to this style, think, "less is best" to achieve a modern chinoiserie look.